The Sugar Killerz was developed by Fun Hazard and released on March 8, 2011 and costs 400 Microsoft Points. A copy was provided by the developer for review purposes. It seems the twin-stick shooter is back and The Sugar Killerz is the most recent iteration of this recently rejuvenated genre. Playing as one of four gun-toting killerz out for some sweet justice, players shoot away calorie-heavy hooligans pouring onto the screen. 4 player co-op – When gamers start trying to figure out what to play when you have a bunch of their friends, they usually come to find that there isn’t a lot of options. With four player, shared screen co-op, four different weapons to choose from, and a on screen score tracker, friends can easily jump into this game together. 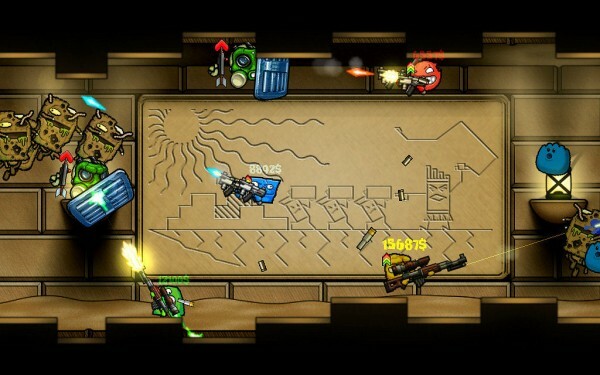 Easy to pick up, but has variety in play – It’s a twin-stick shooter folks, so everyone knows how to play it. The left stick moves the character, the right aims the gun. The controls are blissfully simple. The bonus is that the game changes enough during play to keep from getting dull. A soundtrack worth the price of a CD – The music in The Sugar Killerz is the crowning glory. It has a unique and stylized sound that really rings true to the classic games of yesteryear. Players could purchase the game for solely the soundtrack and be totally happy. The AI can play through the game for you – After about a half an hour with the game we put the controller down and let the AI do all the work. Our character sat in the middle of the screen, inactive, and after he died, he was resurrected by the AI. 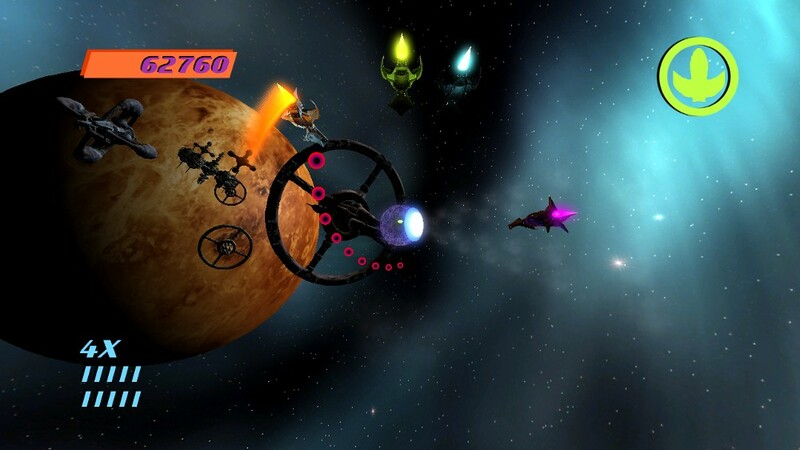 Stepping away from the game and returning we realized the game had progressed further in the level. The AI teammates are good enough to hold their own; they can kill everything on screen, resurrect the player quickly when they are hurt, and were able to complete the game all on their own. Not a large variety of enemies – The enemies in The Sugar Killerz do vary, but not enough to enhance the experience. Seeing the same enemies in every level takes away from the feeling of progression. Fighting the same guys seen in the first scene when near the end makes the experience feel hollow. 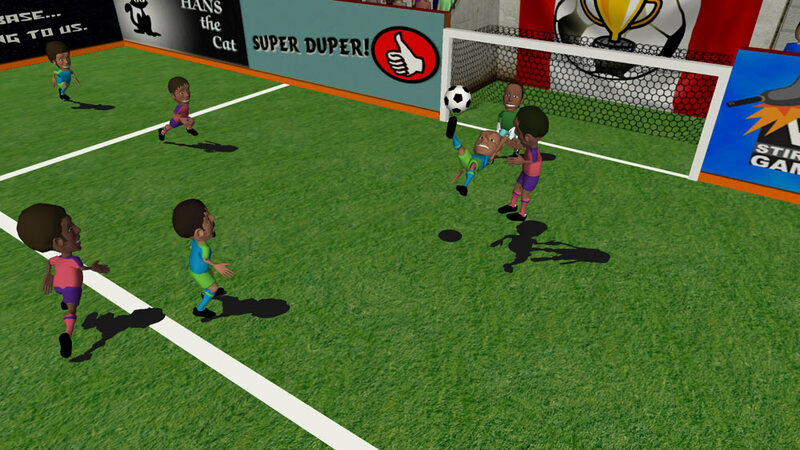 The Sugar Killerz is an option for those people who always want to have a slew of local four-person games available in their digital library. 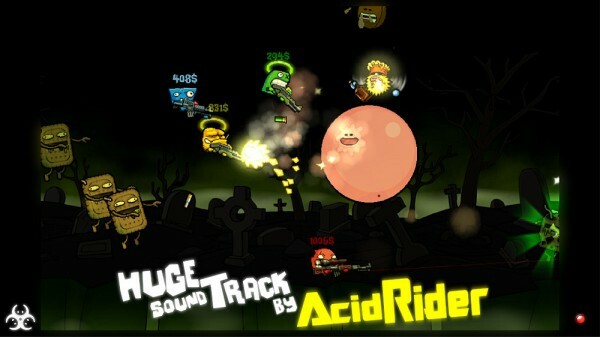 Also, if players are looking for a solid soundtrack to mindlessly shoot tasty treats to, this will meet that craving. Unfortunately, aside from the soundtrack, there isn’t anything special that sets the title apart as a must-buy for everyone. The Sugar Killerz has an excellent soundtrack which is available in-game for your listening pleasure, outside of the actual gameplay. The music is worth the 400MSP purchase; the game is something that players will have to decide on their own..